Mladá Boleslav/Guangzhou, 15 November 2018 – The new ŠKODA KODIAQ GT will be presented to the public for the first time at Auto Guangzhou in China (16-26 November 2018). The Czech brand’s first SUV coupé is the new standard bearer in China with its strong and dynamic appearance, state-of-the-art connectivity and innovative assistance systems. 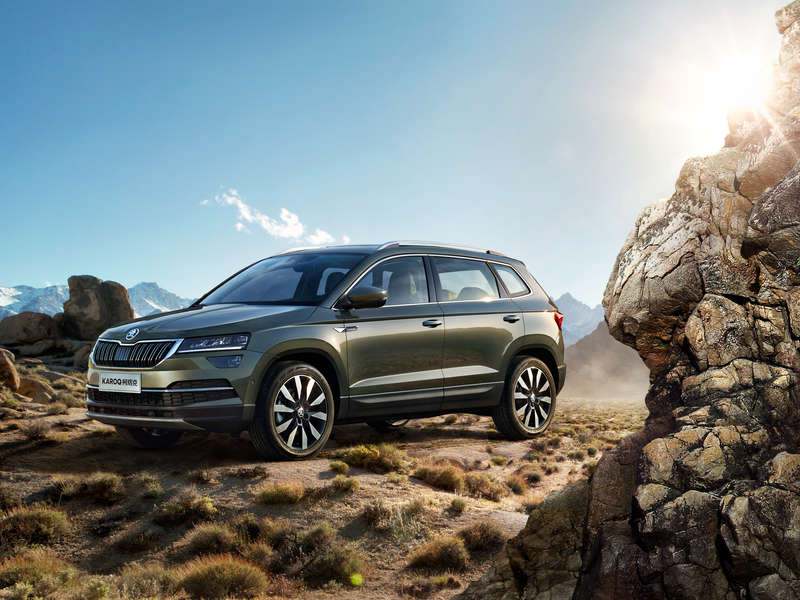 Exclusively for ŠKODA’s largest single market worldwide, the SUV range of the car manufacturer in China now includes four models – the KODIAQ GT, KODIAQ, KAROQ and KAMIQ. 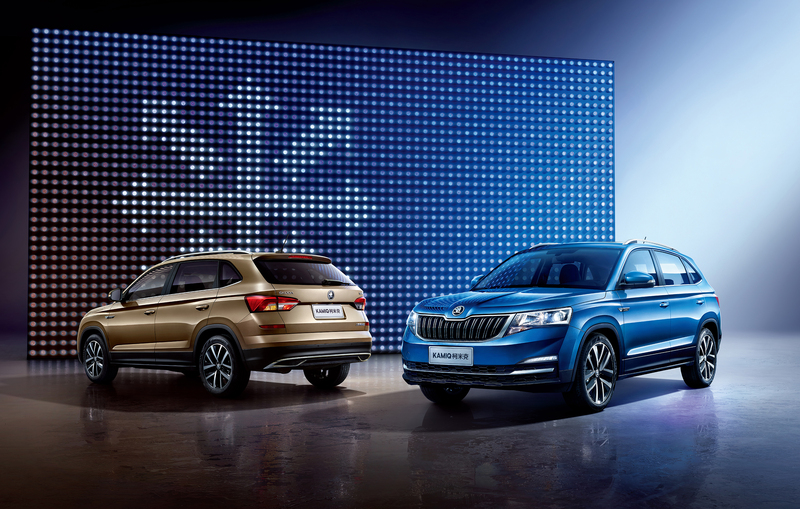 ŠKODA will be showcasing its range of models available in China at Auto Guangzhou. 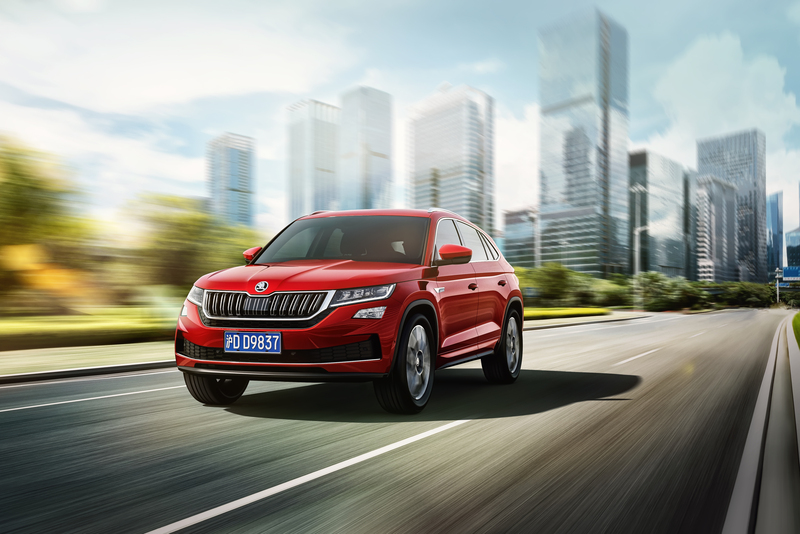 The new ŠKODA KODIAQ GT is the highlight of this year’s Auto Guangzhou, one of the most important international auto shows in the world’s largest car market – China. Combining the robustness and versatility of an SUV with the sporty elegance and dynamism of a coupé, the new top model in ŠKODA’s SUV family in China appeals to lifestyle-oriented customers. The KODIAQ GT is ŠKODA’s first production model to feature the brand logo in block capitals along the middle of the tailgate. The front of the 4,634-millimetre ŠKODA KODIAQ GT features a black-framed grille with chrome-plated double ribs. LED headlights as well as three-dimensional bumpers and large air intakes complete the powerful, sporty look. The roof line sloping behind the front doors merges into a flat tailgate, creating a dynamic side view. The side skirts with matt black details emphasize the robustness of the SUV coupé. At the rear, sharply drawn LED taillights in ŠKODA’s characteristic design language feature captivating crystalline shapes. A fine reflective tape runs down the loading sill across the entire width of the vehicle and, alongside the black diffuser, creates additional highlights. The interior of the new ŠKODA KODIAQ GT is also sporty and stylish. It is characterized by high-quality materials and the fully customizable virtual cockpit, which comes as standard. As is typical for ŠKODA, there are also numerous practical ‘Simply Clever’ ideas. With Wi-Fi access and MirrorLink™, Apple CarPlay as well as Baidu’s Carlife, the KODIAQ GT is always online and at the cutting edge of connectivity. The range of drivetrains includes two efficient engines: The 2.0 TSI with 137 kW (186 hp) drives the front wheels, the 2.0 TSI with 162 kW (220 hp) comes as standard with four-wheel drive and 7-speed DSG. Numerous assistance systems, including Blind Spot Detect, Front Radar Assistant and Adaptive Distance Assistant (ACC) with stop-and-go function, ensure maximum safety. 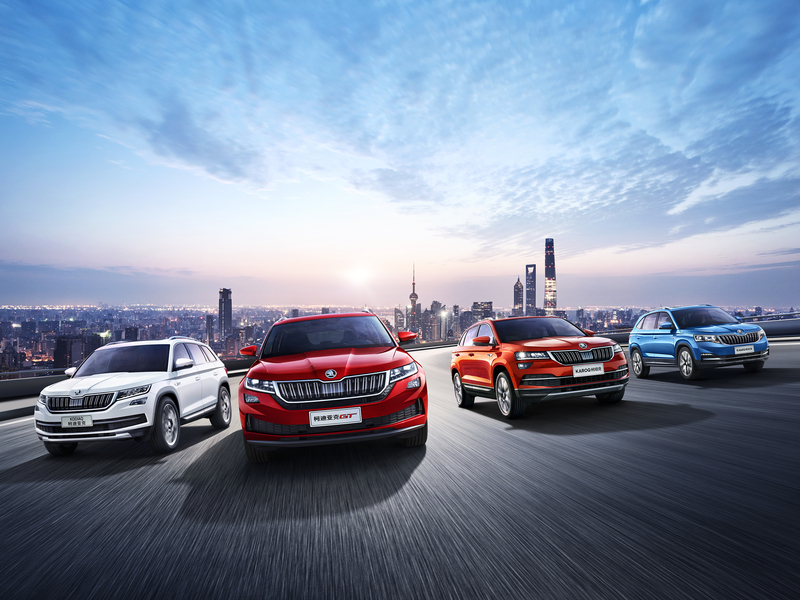 Not only does ŠKODA offer four SUV model series in China as the only market to date; but the brand also offers another vehicle exclusively for the Chinese market – the ŠKODA KAMIQ. The city SUV is positioned below the ŠKODA KAROQ at 4,390 millimetres long, 1,781 millimetres wide and 1,593 millimetres. The KAMIQ is powered by a newly developed 1.5-litre petrol engine with an output of 81 kW (110 hp) and is aimed at young urban customers in China with its generous space and modern connectivity solutions such as the artificial intelligence system iFLYTEK. Between the flagship ŠKODA KODIAQ GT and the entry-level ŠKODA KAMIQ, ŠKODA offers the KODIAQ and KAROQ, which are also available in Europe. With an outside length of 4,697 millimetres, an optional third-row of seats and a boot volume of up to 2,065 litres, the KODIAQ is even more versatile than the dynamic KODIAQ GT. Several efficient engines are also available for the SUV – a 1.4 TSI with 110 kW (150 hp), 2.0 TSI with 137 kW (186 hp) and a 2.0 TSI with 162 kW (220 hp). In addition, the KODIAQ offers modern connectivity solutions and numerous assistance systems, which the ŠKODA KAROQ also features in China. 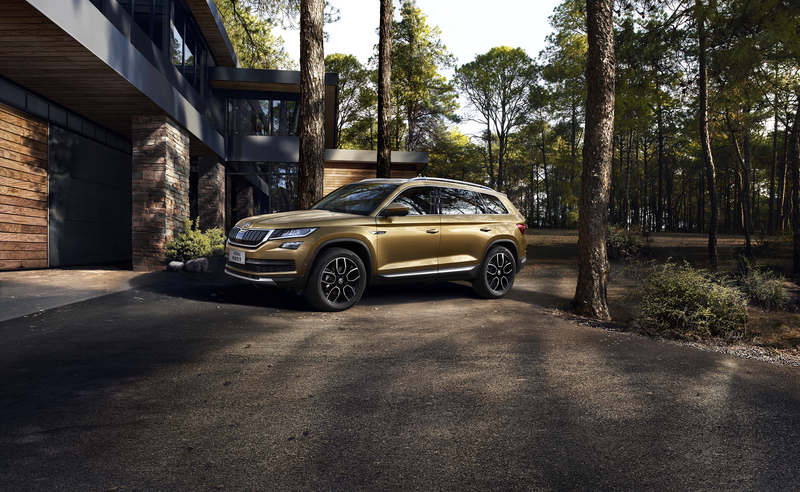 At 4,432 millimetres long and with a wheelbase of 2,688 millimetres, it is 50 millimetres larger than the European KAROQ in both dimensions. The engines are available with 1.2 litre and 1.5 litre TSI engines, delivering 85 kW (115 hp) and 110 kW (150 hp) respectively. 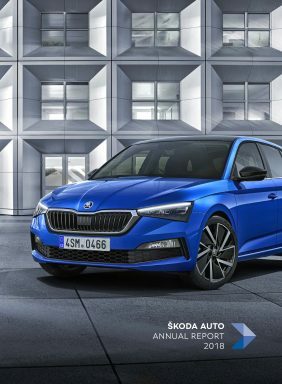 Alongside the SUVs, the Czech brand’s entire product range, including the SUPERB, OCTAVIA and OCTAVIA COMBI as well as the RAPID and RAPID SPACEBACK, will be presented in China at the SAIC ŠKODA stand in hall 6. 1. The Chinese market has been the largest sales market for the ŠKODA brand since 2010. In 2017, ŠKODA delivered 325,000 vehicles in China – one in every four ŠKODAs delivered worldwide. In the first ten months of this year, the Czech brand grew by double-digit figures in China. At the end of October 2018, ŠKODA delivered 276,300 vehicles to customers in the region, surpassing the previous year’s result by 12.5 %. The SUV models, in particular, play an important role in the brand’s growth strategy in China: More than 30 % of all vehicles sold in China this year have been SUVs. A five-year memorandum of understanding signed in 2016 on the state visit of Chinese President Xi Jinping to the Czech Republic outlines plans for more than two billion euros to be invested in the expansion of the SUV range and ŠKODA vehicles with alternative drivetrains.